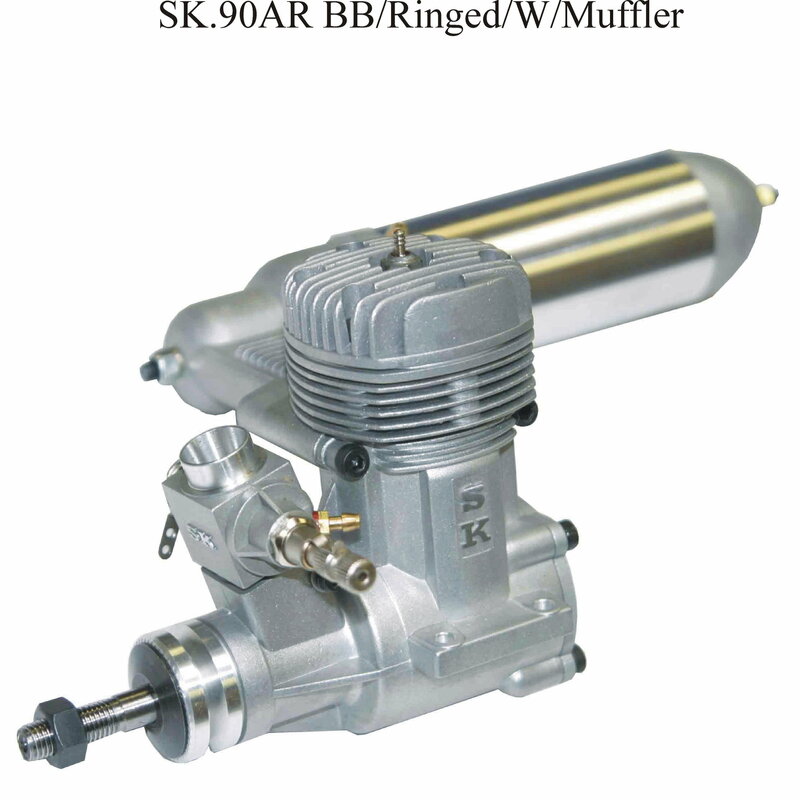 looking to purchase an inexpensive 90 size 2 stroke engine for a new project. I have no first hand experience with them, but a guy that sells them here was telling me that they are pretty good as long as you don't over rev them. I assume the reason is they would break, but maybe it is where the power band is. They are average engines. I have 2. Good buy for the money. Perry carb makes them excellent engines but that’s another 40-50 bucks. if you search RCU's Tachometer page you should find what prop to use, and, it seams people do have good luck and like these SK engines. and some say their port timing is timed for lower RPM. and they should have a longer brake in period than other brands. as said don't turn them up, prop it like a 4 stroke and use a hot plug, the hot plug is for the lower RPM and lower Nitro fuel. if you have to use a small prop use a lot of pitch to get the RPM down. because different brand props of a given size (and rather wood or plastic) can turn a difference of over 500 RPM I am betting if you find the correct brand prop the SK90 will run great with a 14X6 14x7, 14X8 even a 15X4 with a hot plug on 10% nitro. Had a SK .40 engine some 15 years go and it was a very good engine, Turned a 10x6 RAM prop at around 13600 rpm on 5% nitro and 20% castor oil and Rossi 4 glow plug. Nearly as good as a Webra .40 GT (14000rpm) on the same prop and fuel. Throttling was just perfect with instant response from idle (2000rpm).